They say the name comes from the plant’s eagerness to lose its seeds, some sort of impatience to multiply. Impatiens is a genus of about 850 to 1,000 species of flowering plants, widely distributed throughout the Northern Hemisphere and the tropics. Common names include impatiens, jewelweed, touch-me-not, snap-weed, patience and, in Great Britain, “busy lizzie”, as well as, ambiguously, balsam. It is an easy to care plant, ranging among the hardiest garden plants, capable of adapting to any climate, hence their popularity. Here is more on ow to care for Impatiens. They are very colorful flowers that can be seen lining garden borders and blooming out of pots on front porches all summer long. These gorgeous, hardy flowers come in a variety of colors and can be planted in patterns for a stunning visual effect. Plant impatiens transplants after the last spring frost in humus-rich, moist, well-drained soil. Make sure the plants have some shelter from the wind. The closer impatiens plants are, the taller they will grow, so space accordingly (impatiens plants can grow anywhere between 15 and 60 cm tall). For flower beds, plant at least 20 cm apart so the plants will stay low to the ground. You can mix in compost or a slow-release fertilizer before transplanting to help the plants. If you have impatiens plants in containers, use a sterile or soil-less growing mixture to ensure better drainage for the plants. In summer, the plant needs temperatures of 18 to 20 degrees Celsius and are better-off if kept in the shade. The pot soil has to stay humid, but do not overwater because the roots rot easily. In summer, the plant can fall prey to various pests so it is recommended to spray with solutions bought from specialized shops. As concerns winter, Impatiens should be kept in well-lit areas, at temperatures ranging from 13 to 15 degrees Celsius. The soil has to be kept loose, making sure roots won’t be harmed. Soil pH should be 6 to 6.5. If you want to grow Impatiens in other pots or planters, just cut the tip of the offshoots and plant them after kept in a glass of water to root. They develop well in a 22-24 degrees and a high moisture environment. Two weeks after planting, cut the tips of these seedlings in order to stimulate ramification. 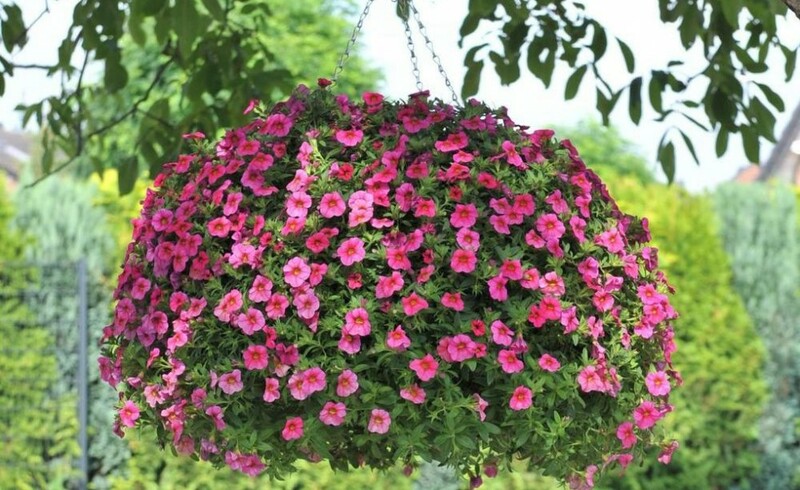 In general, pinch back impatiens plants at least once to keep them from becoming spindly. Square Watermelons – How and Why?